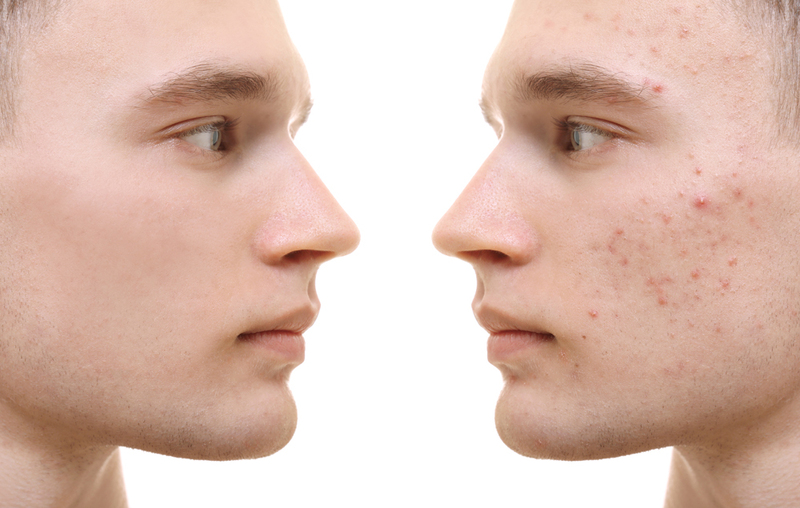 Acne can have profound psychological effects, which may not even be related to its severity. Even mild acne can be distressing. Without a doubt, acne can cause enough embarrassment and unhappiness to affect your self-confidence, your self-perception and your physical appearance. It could even interfere with your everyday activities, such as sports, dating and eating out. This is all the more reason to take acne and its treatment seriously and treat sooner rather than later. Remembering to stick to your treatment every day and not having unrealistic expectations are important. It takes time for acne to heal but the effort is well worth it! Acne is a skin disease that occurs when hair follicles are clogged with dead skin cells and oil from the skin. It appears as white heads, blackheads and pimples on the skin and it usually happens during puberty, but can also occur in other life stages due to hormonal changes. If over-the-counter (non-prescription) products haven’t cleared up your acne, your doctor can prescribe stronger medications or other therapies. Acne is common – nearly 80% of people suffer from acne. How can a dermatologist help me to control my acne? If your acne is affecting your way of your life, then it’s time to book an appointment with your doctor or dermatologist. Your dermatologist will not only listen to your concerns and anxieties but will also prescribe the best treatment for your type of skin. Treatments can either be oral (tablets or capsules), topical (applied to the skin) or a combination of the two. Speak to your doctor or pharmacist and get the best solution for your skin. In order to achieve the best possible results, you need to use your medication as prescribed by your doctor and stick to therapy. As with many things in life, there is no quick solution. It takes time for treatment to work and target the underlying problem. Stay motivated as the results are well worth it! What are the important steps to acne treatment? Normal soaps are often harsh on the skin, especially when your skin is vulnerable due to acne. Cetaphil® cleansing lotion and bar are specially formulated to cleanse without irritating the skin, as they are non-drying, oil and fragrance-free, non-irritating, non-alkaline and will not clog pores. Cetaphil® is only available in pharmacies and does not require a prescription. It is best to consult a dermatologist or your doctor for treatment sooner rather than later. The earlier you start acne treatment the better your chances of getting it under control. It is important to be realistic about your expectations and to remember that treatment takes time, at least several months. Acne itself or some of the treatments may result in an irritated skin. You can moisturise with a non-irritating moisturiser that won’t clog pores. Nutraderm® cream and lotion are formulated to help restore and maintain the skin’s moisture and soothe irritated skin. Nutraderm® is cosmetically elegant, hypo-allergenic, non-alkaline, non-greasy and non-comedogenic. What are the do’s and don’ts in treatment? Use cosmetics that are non-comedogenic (this means that it won’t cause blackheads and whiteheads). Test new cosmetics on a patch of skin for a few days to see if your skin tolerates it. Use an effective, sunscreen when going into the sun. Be patient and stick to your treatment. Avoid alcohol products which may irritate your skin. Never apply more medication than recommended by your doctor in the hope that it will work faster.